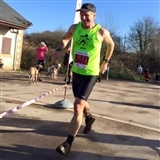 Welcome to Chew Valley Snails, a group for novice to experienced recreational runners in the Chew Valley area. 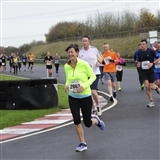 We offer Couch to 5k and Improvers courses for new and returning runners at Chew Lake, multiple weekly social runs and trips to local parkruns and races. We're affiliated to the Association Of Running Clubs. Non-members are welcome to come to a few runs with us before deciding whether to join us - our annual fee of £10 is worth every penny. "Run at the speed of chat!" is our motto - and we encourage socialising over coffee and cake as well. We have a facebook group for runners to arrange meet-ups for homework and social runs, and to share details about other local events and lifts to parkrun. Would you like to train towards a specific event such as the Chew Valley 10k? This is the perfect starting point. Running has been proven to be excellent for both physical and mental health. Running outdoors is even better because the fresh air, extra vitamin D and interaction with nature are all mood-lifters. Sometimes you won't feel like running but if you make yourself pull on your trainers we can guarantee you'll benefit from it. Running can improve your weight, your blood pressure, your mood, diabetes, your stamina and cardiovascular endurance - and it's a great way to meet other people in a safe environment. Anne's favourite runs are the really muddy sort and the really long sort - she's not quick, but she enjoys the challenge. She started running in her 40s and hasn't looked back. She's an England Athletics qualified Coach in Running Fitness. 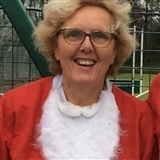 Dawn joined the Chew Valley Snails through the Couch to 5k course in February 2017 and since then has gone from strength to strength. She qualified as a Leader in Running Fitness (LiRF) in December 2017 - but she remembers and understands just how it feels to be a novice right at the start of your running experience. She prefers to deliver C25k courses. 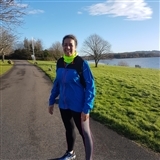 Karen joined the Chew Valley Snails as a new runner who started running on a Couch to 5k course in February 2017, and trained as a Run Leader (LiRF) in February 2018. She concentrates on social and improvers sessions on weekday daytimes. Pip joined the Snails through the April 2017 Couch to 5k course, then went on to run a spectacular Castle Combe 10k at blistering pace! She qualified as a Run Leader (LiRF) in February 2018 and is offering evening and weekend social runs. We also have guest leaders from time to time - they're hugely experienced and they completely understand and support the ethos of the Snails. New to running? Have a look at what others have said about what we do. Experienced runner? Come along to our Social runs or Improvers courses. Although our courses are usually run in the daytime we strongly recommend you wear hi-viz and reflective items on your clothing and shoes. It's a good habit to get into and essential when you're doing your homework runs. A headtorch might help if it's an evening course! Finally: it's really important we know anything which might be relevant about your personal and medical needs. You can speak to us in confidence, but please disclose everything on your registration page. This is particularly important if you use an inhaler, an epipen, have allergies which may be triggered during a session, or have a hidden disability such as epilepsy. Recommend a friend: if you recommend Chew Valley Snails to someone who subsequently signs up to a full C25k course, you get one free run session with Chew Valley Snails. Contact us to provide details and claim your session. Club clothing: can be bought direct from Initially Yours using their online shop. Are you looking for advice on running shoes, clothing, nutrition, sports massage, physiotherapy or anything else running-related? We're not experts but we can give you the basics and can also point you in the direction of people who really know their stuff. No question is ever too small, so please ask anything and everything. Lords Wood entrance, Birchwood Lane, Pensford BS39 4NG. Velvet Bottom carpark (BS40 7XR), down the lane from the Charterhouse Outdoor Centre.